Welcome to the Gasthof Kircher in Ums. The Harder family invites you here to spend a few days of relaxation: enjoy the gorgeous and peaceful landscape, enjoy the delicious homemade local specialties, simply take a break from the daily routine. The dining room and bar offer a typical Tirolean atmosphere where you can enjoy a good glass of wine after a long walk in the Schlern Nature Park. Children - but not only - can play their favorite games in the lounge. The specialties of the cuisine are freshly cooked by the landlord himself. Treat yourself to traditional South Tyrolean specialties, light Italian dishes and tasteful local snacks, most of them prepared with homegrown herbs and vegetables. Alongside the restaurant the house features a comfortable café with a large sunny terrace where a wide range of fresh homemade specialties are served, making it an ideal place to rest and relax. Those of you who like to spend their times in the sun can sunbathe on the wide and beautiful lawn, while your little ones have fun on the playground. 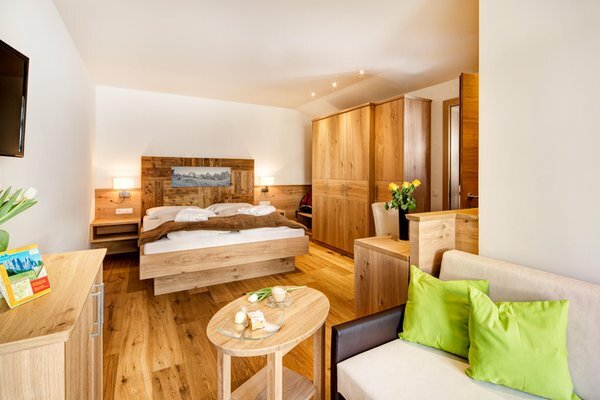 All rooms are tastefully furnished to create a comfortable welcoming atmosphere and offer breathtaking views on the majestic mountains of the Dolomites. The rooms are equipped with telephone, TV, free WiFi, balcony, shower, WC, and provide room for up to 4 people. Bathroom with shower, washbasin, hairdryer and bidet, telephone, TV, internet and balcony. King-size bed, double sofa-bed, bathroom with shower, washbasin, hairdryer and bidet, telephone, TV, internet and balcony. Information about the location: at 900m amsl, 20m from the bus stop. 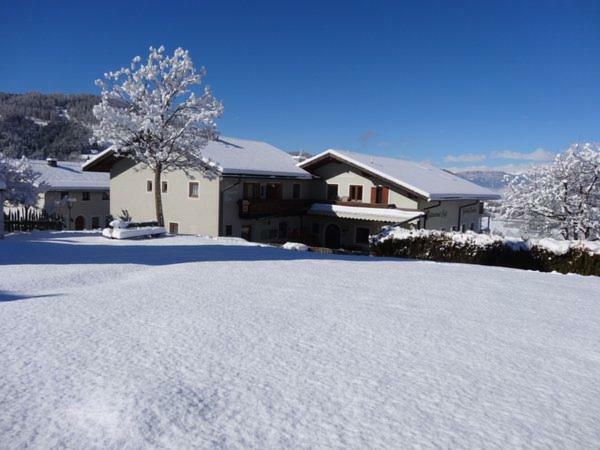 Are you interested in Hotel Kircher?